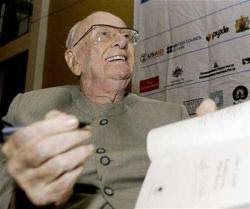 Arthur C. Clarke, 1917 - 2008. I've never (post-accident) read one of his books. It's sad that his death is what it takes to spurn me along, but I think I'm going to pick a few up.